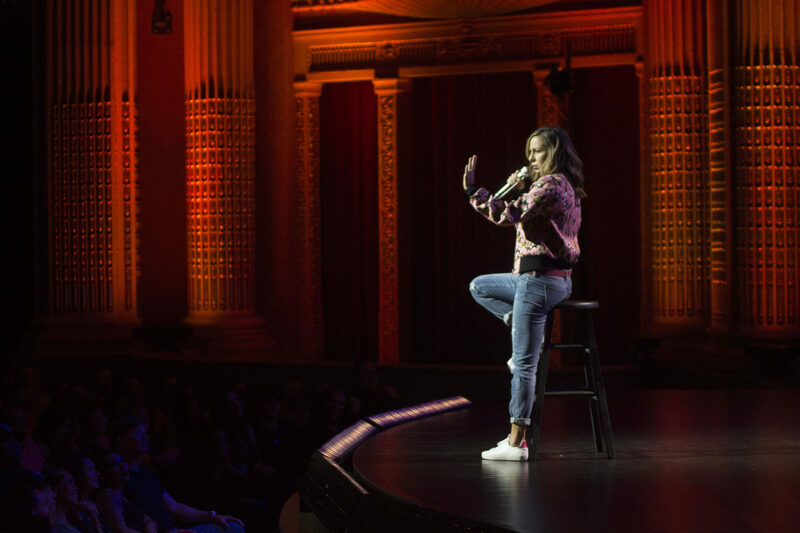 Filmed at the Hawaii Theater in Honolulu, Hawaii, Anjelah Johnson’s fourth stand-up comedy special dishes on awkward massages, home invasions, spiders and being a full-grown child. Born and raised in San Jose, California and of Mexican and Native American descent, Anjelah Johnson is a sought-after actress and comedian who is best known for her role on the beloved series “MADtv,” leaving a memorable legacy with the breakout original character – and internet sensation – Bon Qui Qui. This original character, a disgruntled fast food employee with no filter, has been enjoyed by over 65 million people worldwide. Johnson has also appeared in multiple commercials and on film, and guest-starred on shows such as “The Shield,” “Ugly Betty,” “Curb Your Enthusiasm” and others all while touring with her sold-out stand up comedy shows. Anjelah Johnson: Mahalo & Goodnight is executive produced by Anjelah Johnson, Dave Rath, Brian Volk-Weiss, Cisco Henson, Ross Bernard, and produced by Valerie Bishop Pearson. The special is directed by Ryan Polito.